According to Ayurveda, 'We are what we eat'! This ancient branch of science believes most of the common ailments are a result of poor nutrition. 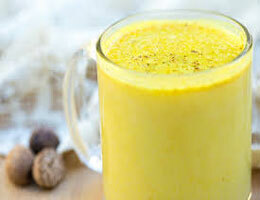 Ayurvedic nutrition is concerned importantly with the dietary requirements of individuals. Any anomaly in the body is thought to emanate in the digestive system, and therefore it become crucial not to cast aside even minor digestive complaints, as it could be indicative of a disease. Ayurveda does not distinguish between food and medicine, the underlying belief that the absence of nutritive food or diet causes disease in the body. This can only be remedied with appropriate food, which becomes the medicine to heal the body of its ailment. Ayurvedic diet is centered on treating life's experiences as 'food' (for the body and the mind), which is assimilated into the body and contributes to its nourishment. This transformation of 'food' into nutrition is termed as 'Agni' or fire, which forms the edifice upon which the Ayurvedic system is built. 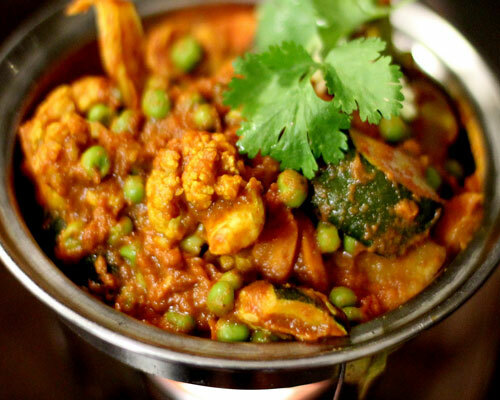 Ayurvedic meals are easy to digest due to the inclusion of spices - garlic, ginger, cumin, cayenne, and black pepper. Ayurvedic Tea is a healthy and medicinal beverage or drink, which is surely effective and helps in the balancing of digestive system. Boil water, remove from flame and soak the ingredients, except honey and lemon, in it for about 5 minutes. Extract the liquid content, add honey or lemon according to your taste and serve. 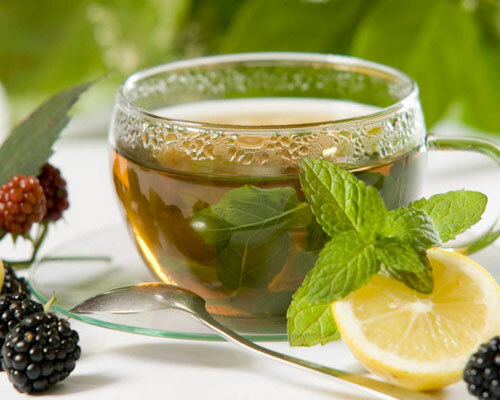 This Ayurvedic tea is ideal for digestion and is very healthy. A remedy to prevent sinus allergies. Heat the ghee in a saucepan and add the pepper corns, cloves, grated ginger and cumin seeds. Cook for a minute and add the tomato purée, salt, sugar. Boil for 5 minutes at low heat. Add chopped coriander as garnish. 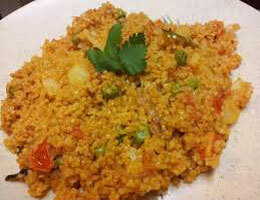 Khichadi is easy to digest, very nourishing and delicious meal for all age group. 3-4 cups of water (a ratio of 1:3 or 1:4). 1/2 tsp each of turmeric, ginger, roasted cumin and coriander. Adjust flavour to your preference. Seasonal vegetables: spinach, peas, zucchini, cabbage, carrot, tomato for an all round healing, healthy and Agni enkindling meal. Simmer the mung dal and rice in the water. Add all the herbs and then the vegetables. 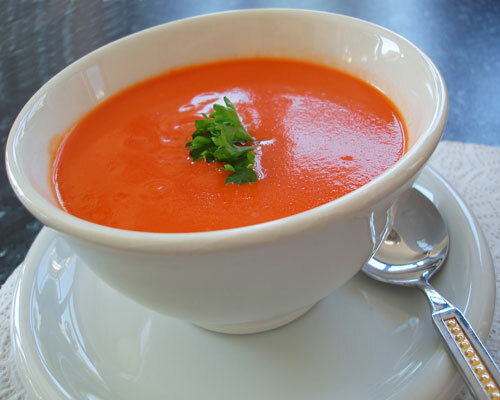 The best practice is to cook it on a very low heat in a covered saucepan and do not stir it after all the ingredients are added or it will go mushy. You can also use pressure cooker for cooking faster and easily. Add 1 tsp of ghee or hemp oil before serving. Garnish with fresh coriander and lemon. Heat the oil or ghee in a large pan. Fry the cumin, coriander, fennel and mustard seeds in a high heat until brown and releasing a delicious smell. Other spices, as required, can be used. Add the ginger and asafoetida. Add chopped vegetables. Sauté until the vegetables are coated in the spiced oil. Add a little water and simmer on low heat for about 15 minutes or until done. Add cumin, turmeric, cinnamon powders to taste. Add any 'quick-to-cook' vegetables such as spinach and peas at the end for 3 minutes. You can also add coconut milk or yoghurt to make a creamier sauce. Wash the lentils and simmer them in pan for 40 minutes with salt, cumin powder and turmeric powder. In a separate pan heat the ghee or oil and fry cumin, coriander and mustard seeds until brown and releasing a delicious smell. Add the ginger and asafoetida. (Onions and garlic can also be fried after the spices to make a more nourishing dish.) Pour this spiced oil into the lentil mixture (dhal). Add a pinch of salt and the fresh coriander. 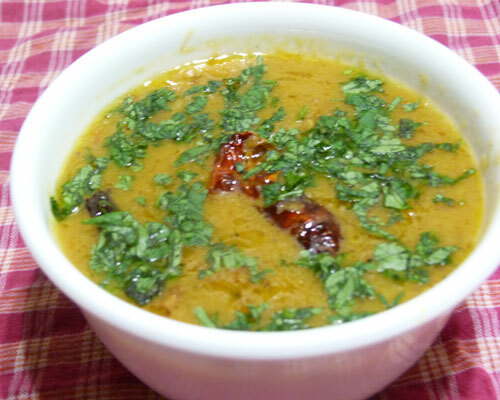 Chutni is useful to accompany a meal to stimulate Agni, reduce Ama and facilitate digestion. It is a great complement to a tridoshic meal where members of a family have different dietary needs. Grind all the ingredients in to a smooth paste in a grinder. 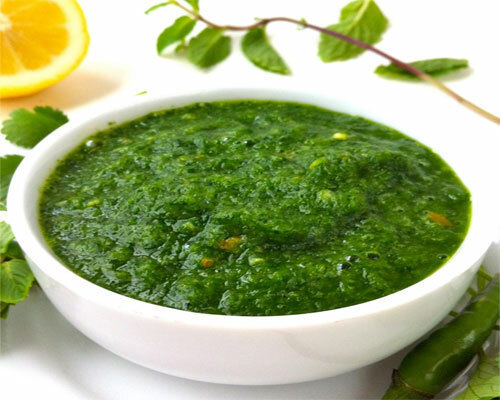 Tasty, simple yet healthy chutni is ready to compliment your meal. Boil milk for 5-10 minutes after adding all ingredients except cardamom. Serve with powder of cardamom. Soak rice for 2 hours. Rinse rice thoroughly. Add to a good heavy saucepan and pour in the coconut milk. Bring to a simmer and stir well once. Add the saucepan lid and turn down to the lowest heat. Simmer for 10 minutes. Take off heat and add the coconut oil. Leave to steam in its own aroma for 5 minutes and serve to delight. Take separate pans add oil & heat, now add mustard seed, coconut and curry leaves. Roast lightly on medium flame. Sprinkle over each portion of rice and serve. 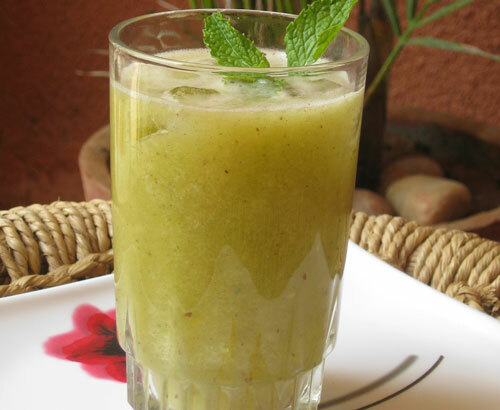 Traditional Indian mango drink that is natural iron supplement and offers a disease free digestive system. An excellent summer drink. Mix the mangoes, sugar and water in a deep saucepan and boil till the mangoes are soft. Put this mixture into a food processor and blend till smooth. Put the blended mix back into the saucepan and on a medium flame. Add the remaining ingredients and cook for another 20 minutes. Take off from the fire and allow cooling completely. Pour into glasses, dilute with a little chilled water if needed, mix well and serve with mint garnishing. 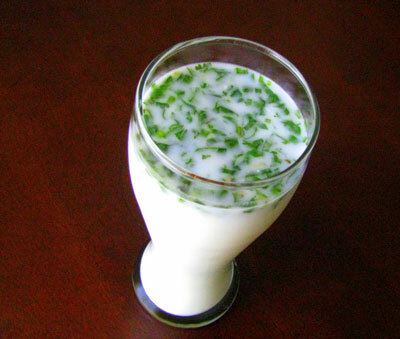 Buttermilk is a popular beverage for all seasons specially summers. It can be either served plain or spiced according to your taste. It will give you very refreshing and cooling feelings. Apart from cooling, it also helps in easy digestion. Blend all the ingredients together in blender. Serve cool. 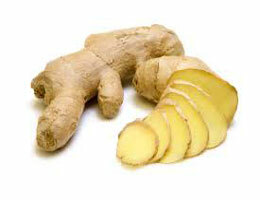 Enjoy rich medicinal properties of ginger and have a clean respiratory system, perfect digestion and strong bones. Peel a fresh ginger and cut it into long slices. Add chillies, cumin seeds, lemon juice and salt to them. Store all the ingredients in a glass jar and refrigerate. Take these slices 15 minutes before meals as they are very good appetizer. Heat oil in a pan; add 1 cumin seeds and sauté till light brown. Add ginger, green chilies and onion and sauté till lightly colored. Drain and add dalia to the pan and mix. Add turmeric powder, salt and mix well. Add green peas and 3 cups water and mix. Cover and cook on the low heat till done. Cut tomato into large pieces and add. Mix well and serve hot. 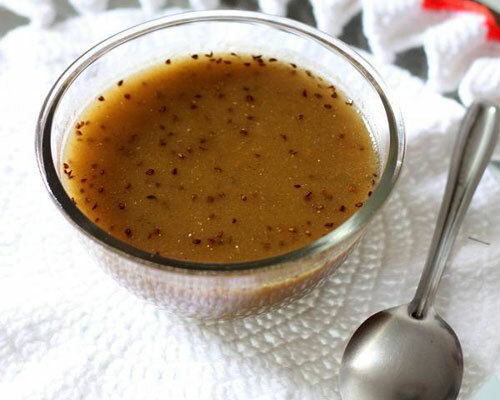 Raab is a warm health drink made from pearl millet flour also known as bajra that is infused with ginger and ajowan, most often prepared and served to strengthen the immune system of a new mother or to someone who is low on energy or has a congested chest. Combine the bajra and wheat flours and 3 cups of water in a saucepan and place it on medium heat. Stir to make sure there are no lumps. Stir in the jaggery, ginger powder and allow the mixture to come to a boil stirring constantly. Continue to stir until the mixture begins to thicken slightly for about 5 to 8 minutes. Heat the ghee in another small pan; add the ajwain (or cumin), black pepper and allow it to roast for a few seconds. Pour the ghee into the hot Raab Mixture. Check the taste and add more jaggery or ginger to suit your taste. You can adjust the consistency by adding water if required. 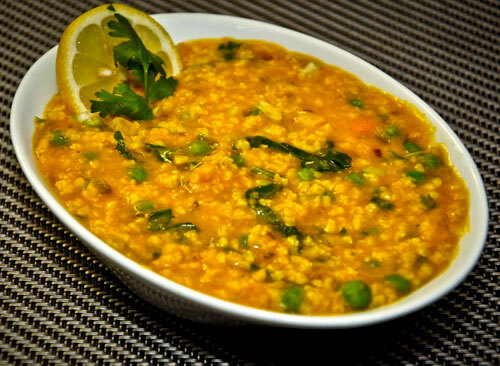 Serve the Raab (Millet Soup) for the winters or even when you need an instant bout of energy or when you are ill or recovering from a sickness. 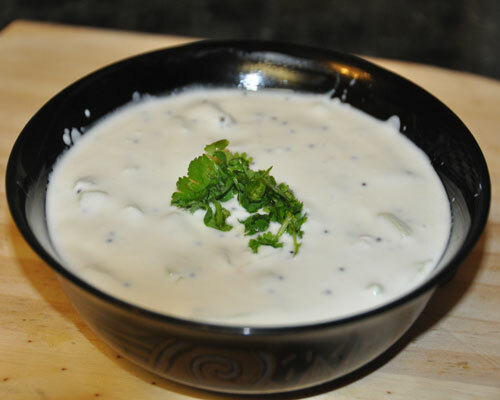 Remain rehydrated and boost your digestion with this unique cucumber raita. Mix plain yoghurt with three cups of water and beat it well. 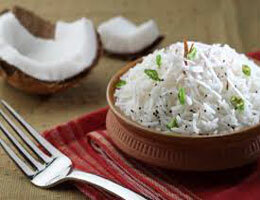 Mix the grated cucumber with curd; add salt and black pepper in desired quantity. Fry a pinch of Asafoetida with cumin seeds and mix this with the curd. Serve it cold.